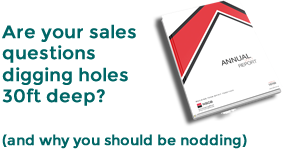 Needs based selling - are you identifying needs as best you can? 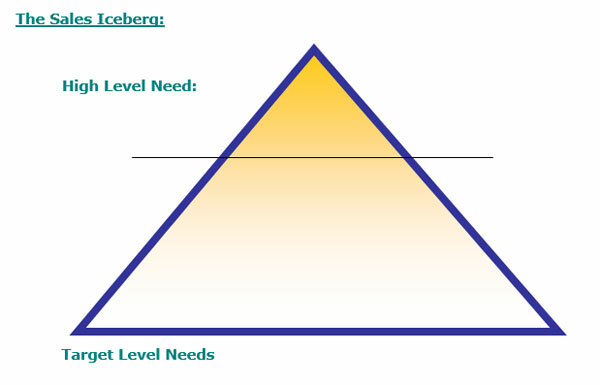 How good are your needs based selling skills? Read on to find out. Conventional sales wisdom suggests the greatest sales people are the flamboyant extroverts. Those rare individuals capable of dazzling prospects with brilliance, just like Del Boy selling cheap second hand clocks (that don’t work) to unsuspecting punters at the market. But no matter how much we love Del Boy we also know that this is not effective selling. Nor does it lead to long-lasting, profitable relationships. When you genuinely want to do the best thing for your customer you hold off discussing your products and services until you understand their needs. Really understand their needs. Asking questions lies at the heart of needs based selling because it’s the only way to uncover your customer’s needs. Every worthwhile relationship you build and valuable piece of new business you win, comes down to your ablity to ask questions. Only by asking questions are you truly able to understand the customer’s situation and how you can help them. We call these questions Needs-Oriented Questions. Needs-Oriented Questions focus on the customer. By asking these types of questions you are telling your customer that his or her needs are your primary concern. It also ensures you don’t give the impression of ‘hard selling’. In contrast, Product-Oriented Questions deal directly with products or services. These questions focus on your need to sell and, in contrast, can be interpreted as being hard sell. Needs-oriented questions keep the customer involved in the sales process and let them feel in control. They also give you the opportunity to dig deep for further needs. Your customer or prospect may be forthcoming in asking for what they want. Or their needs might be fairly obvious to you. Where a customer’s need is obvious, especially when they have raised the need – the need is a High Level Need because it’s urgent and pressing. But if you dig a little further, using well structured needs-oriented questions, you may uncover additional needs. These additional needs are issues the customer may not have raised without your structured questioning but are still related to the original need. These are called Target Level Needs. Like an iceberg where most of the ice is underwater, target level needs aren’t always obvious. Target Level Needs need to be sought out, explored and prioritised. The next time you’re with a customer and discussing a product group ask a needs-oriented question. That is, a question that’s not product focussed but stilled aimed at uncovering needs for specific products. This is the essence of needs based selling. So how do you feel about you needs based selling skills now and are you ready to take the Face to Face Sales Skills Questionnaire ?